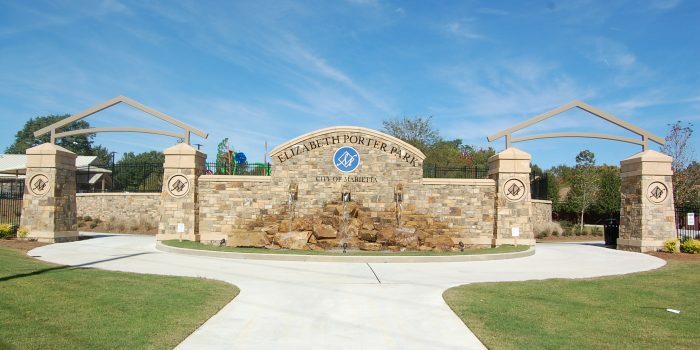 Elizabeth Porter Park is a $3,270,000 Active Recreation Park currently being constructed near the intersection of North Marietta Parkway and Allgood Road that will serve the citizens of Marietta, Georgia. 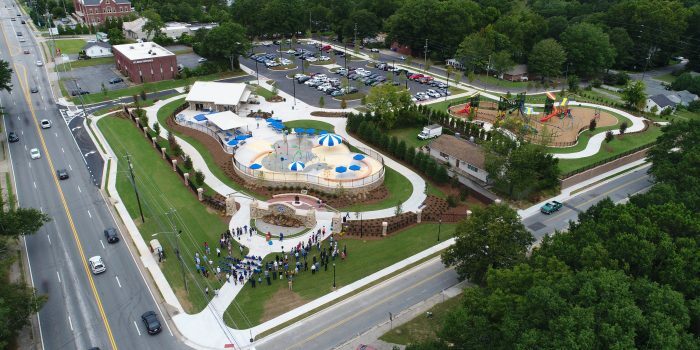 This park will consist of a 7,794 sq. ft. splash/spray pad, a 11,887 sq. 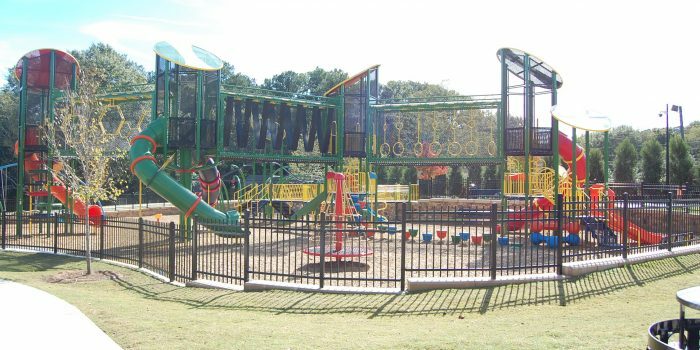 ft. playground, and walking trails for its recreational features to service the citizens of the City of Marietta. 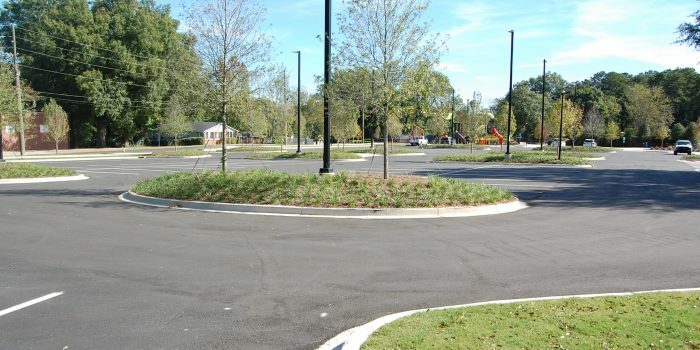 The Park will be supported by a 127-parking space asphalt parking lot, which was constructed over the top of a 13 barrel- 72” CMP underground detention facility due to limited space limitations onsite. 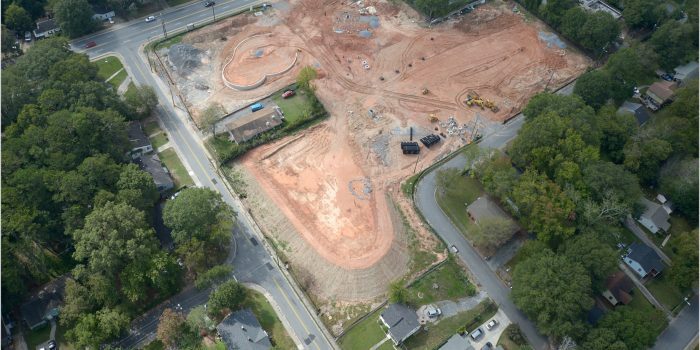 Two large water quality vaults were installed onsite to address water quality concerns associated with the site for a more environmental friendly storm water discharge. 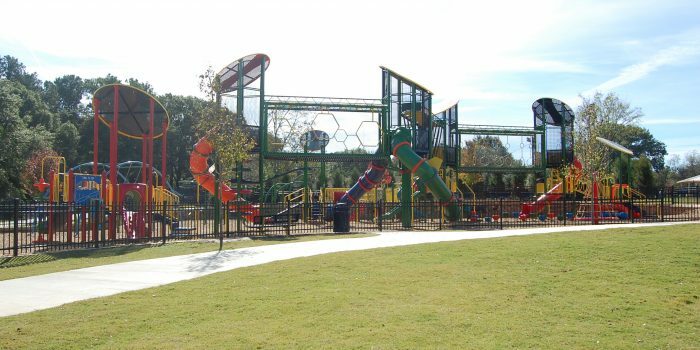 The park has a 1955 sq. 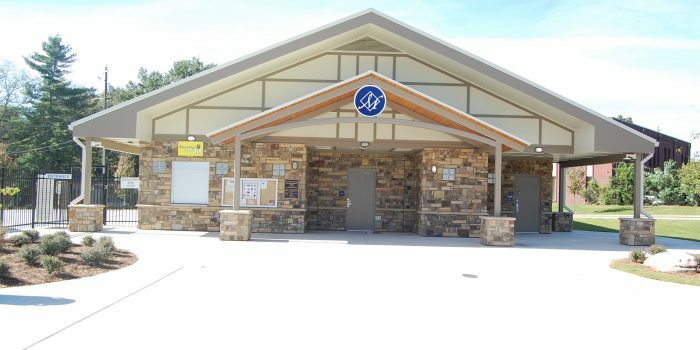 ft. concession/restroom facility that will serve the public’s needs attending the park. 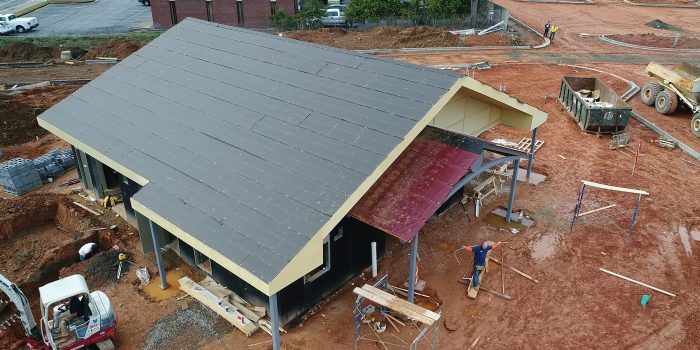 There will also be a large 22’ x 42’ metal picnic pavilion within the premise for family gatherings. 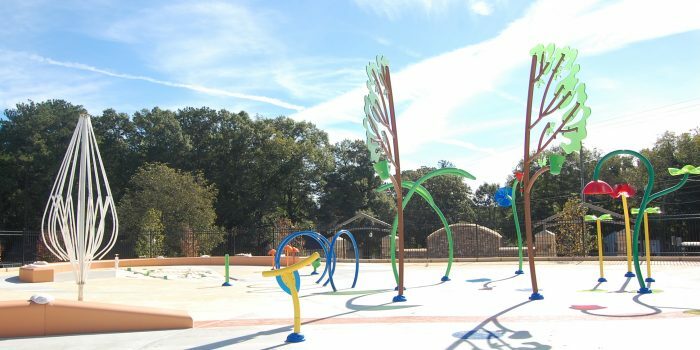 The park contains a 1/3 mile, 10’ wide multi-purpose walking trail around the park for active adults seeking to exercise. 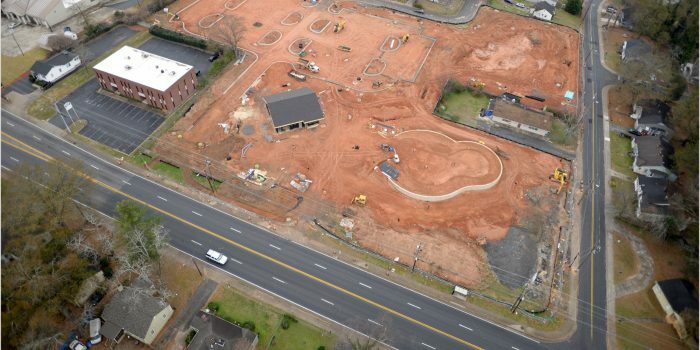 The Park is ultimately capped with an Entry Gateway area at the corner of North Marietta Parkway and Allgood Road to welcome pedestrian traffic enter the park. The Entry Gateway area features two-16’ wide archways and a tumbling water rock fountain wall area.